iWALK is a rapidly growing brand extending across the wireless and cellular mobile markets. Placing extraordinary emphasis on Apple and Smart Phones. iWALK's docking batteries, cables and chargers for Apple are MFI certified. 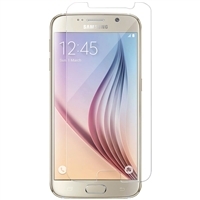 iWalk PFG017S7 Tempered Glass Screen Protector for Galaxy s7. 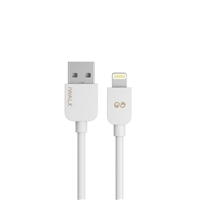 iWalk CST003I-WHT Lightning Charge-Sync Cable 3 Feet Long. iWALKUSA CST003IL 6.5 Feet 2.1A Charging Lightning to USB data/sync cable. iWALKUSA 2.4A Stainless Steel Spring Wire Lightning Cable. iWALKUSA Duo 3,000mAh rechargeable battery with built-in lightning and Micro USB charging cables. The iWalk Duo 2.0 Power Bank 3,000 mAh for Type C and Apple Lightning Devices provides ample power for devices which feature Type C and Lightning inputs. iWALKUSA UBE5200D Extreme 5200 5200mAh Universal Duo For Smartphones & Tablets. iWALKUSA PCC1900I5 Chameleon Power Case for iPhone 5/5S. iWALKUSA Scorpion 8000X Slim Universal Battery with built in Lightning, Micro USB and USB charging Cables. iWALKUSA SCS001 Screener Screen Cleaning Kit (Box of 24, each one 12 ml/0.42 Oz.) - Clean Like a Pro! It will make your electronic displays stay free of dust, fingerprints and streaks.